"... I am very curious and excited about this product. I have used the pill formats for several years on and off with very good results, even during stretched where I didn't go to the gym. 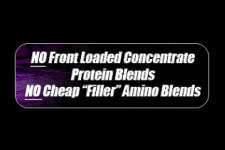 I've never used a protein supplement but this is one that I will give a chance and will report my findings here at fitflex. Thank you for announcing this product, I am finding your website very useful as I am planning my jump in to more supplements." 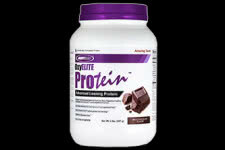 Experience a proven protein blend to help you maximize your weight loss potential safely! 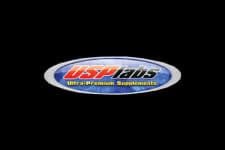 USPLabs has been one of the leaders in product innovation in the supplement industry, so there is no wonder their latest OxyElite Protein supplement is already a fan favorite. As with all of their products, they always use the highest quality of ingredients to ensure the highest level of results without any dangerous ingredients. Most notably known for their OxyElite fat burning formula, they have used this experience and expertise to devise a protein powder which runs along the same principles and results. There are a few aspects to this protein that make it very interesting and unique which include CLA, Medium Chain Triglycerides and PolyDextrose which has shown to be quite an effective .digestion resistance fiber. Reaching your weight goals takes commitment to your exercise, nutrition and the right choice of supplements. Find out what this can do you for you. Give it a go and be sure to post back here at the best supplement reviews resource since 2002!